I was just introduced to Prairie Vodka this morning via email, and although i have yet to try this supposed organic goodness, i’m absolutely smitten with the photography, website, and branding! It’s gorgeous! 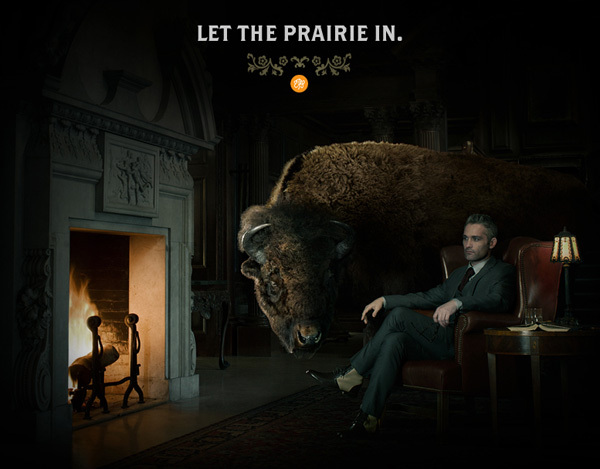 So they really run with the Prairie meets the City theme ~ and have these breathtaking images of a woman on her NY patio with the city behind and the wolves at her side… and then the gentleman in his plush red chair at the fireplace with his bison… and then the subtle details and styling of the logo and site… *swoon*… and then you must see the actual bottle design as well, so sleek and simple. Even the transitions… to have the wolf walk up, and breathe on the screen till it gets foggy and fades into the next page… little silly, but an interesting approach! Is it any wonder that Prairie recently received a gold medal at the 2008 Los Angeles International Wine & Spirit Awards, as well as “Best Overall Design” and “Best Package of Show”? 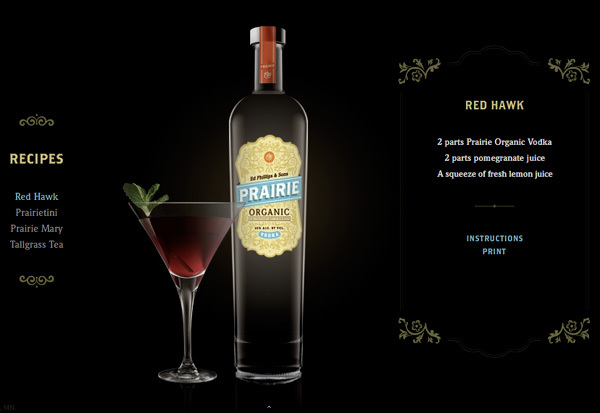 See more screenshots and imagery on the next page… and read more on Prairie Vodka at their site. P.S. i’m so distracted by the prettiness of the visuals, that i’m saving discussing the organic and kosher aspects of it and the unique partnership between Phillips Distilling Company and a co-op of over 900 Minnesota farmers who are stakeholders in the brand - for a product review to come! The vodka is delish! The bottles are gorgeous! The ads… I bought this product before I EVER saw an ad… but now that I have seen them… They are very cool! I want to live THERE! 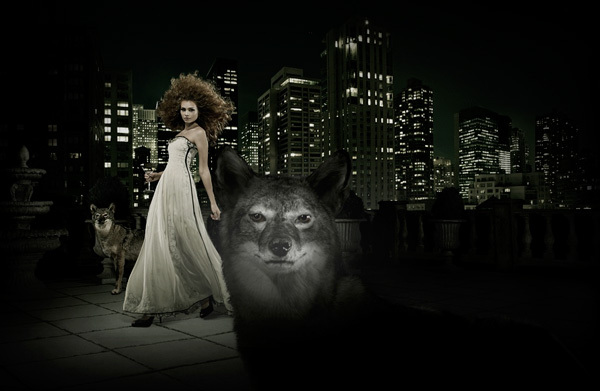 Wild animals, beautiful clothes, oh, and the views…to die for! The Dress is from YSL I dont know the year it was designed. Great tasting vodka! Today I was reading the september Saveur and came across this ad. I am in LOVE with the dress… Can anyone tell me who the designer is? I am getting married 10/31/09 and this is the perfect dress. I have been rummaging site after site and still no luck.. PLEASE HELP!